It is your dreams that keep you moving forward, don’t ever give up wanting to progress towards living your dreams. The steps you take every day and the path you choose to walk isn’t always the one you really want to take. Finding the path that leads towards your dreams is often filled with obstacles and distractions. Finding your way through this maze often makes you question your dreams and desires, but it is possible to move through these and actually start living your dreams. There might be aspects of your dreams you haven’t considered or how to put them into action. It is a scary process of moving towards something that you have always considered a dream and not something that could ever become a reality. However, with some planning and taking positive steps forward, it is possible to start living your dreams and see the possibilities in your future. The most important thing to remember is to never give up on your dreams, you might have to take a few detours along the way, but giving up on your dreams shouldn’t be a sacrifice that you should make long-term. There are times where I have found that fear is something which tries to stop me from succeeding; now I am learning to face that fear and to move towards it. I am living my dreams and I never thought that when I started this journey I would make it, yet I fought through all the hard times and I think the path I chose is the right one, the one where I start to live my dreams. It is possible for you to start living your dreams too! It is difficult to move in the right direction unless you have a plan, planning your dreams is the first step towards living your dreams. You have to know where you are going, even if it is only a rough direction in the beginning. Only with a plan will you be able to look at the long-term goal and take steps towards reaching your goal. Planning is the most important tool that you need to use to help you focus and take those small steps towards your goals and dreams. Goals are not set in stone and moving them around is OK, as long as you are not acting upon your goals and dreams and making excuses for moving them around. The hardest part you have to learn is to take action with your plans, your goals, and dreams. Breaking these down into steps that you can take each day or week taking you closer to your dreams. You have to set goals that will stretch you, but you don’t want to make them impossible either. You must express clearly your goals, something that you can define and know that it is achievable too. You have to break down your goal. I can’t just say, ‘I want to be a successful blogger’ I have to explain what I consider success to look like. How I will be able to judge what my success looks like, after all, what I might classify as successful another person might have different ideas, or I might bring in the goals so it matches what I have achieved. By defining your goals and making them detailed will allow you to break them down into more specific areas you can work towards. By starting with the dream, defining what you want in detail will allow you to make better goals and it will help when you come to planning your actual schedule. Whilst my dream is being a successful blogger, I know I have to determine what I think this will look like. Only when I have a complete picture can I truly make the right plans that will take me in the direction I want to go. The more I work on planning and implementing tasks the more I realize how important the building and the framework is. Without this it isn’t stable, it is like creating a pyramid with the largest structure on the base and you create and grow your pyramid upwards, before heading back towards the solid base and completing your goal. Any holes in this base could lead to letting things slipping through. The idea is that you plan for success, you define your goals and you work backwards creating the layers of your pyramid, each with a goal that’s defined, like reaching a milestone on your journey. With each layer of your pyramid, you need to know your objectives and what completing this mini goal will look like. It is breaking the dream down into more manageable chunks and tasks. However, don’t be fooled into thinking that these milestones need less planning, you have to plan to work towards them too, breaking them down into actionable tasks. Your position on your pyramid is where you are today, your first step on your journey towards living your dreams. I break my pyramid into five sections, one each quarter of the year and the base the supporting structure of the whole system, so currently I am working on my second layer and I am using the information and what I have achieved this quarter, to ensure my next layer of my pyramid is a solid foundation on which to support me through the third quarter of the year. This means checking my goals, keeping up to date with any information and making sure my current goals are in line with my second quarter targets. I want to make sure that my third quarter targets are all ready and I know what I am doing in the third quarter of the year. So, I like to go over them seeing if there are any adjustments and to make sure there are no holes. 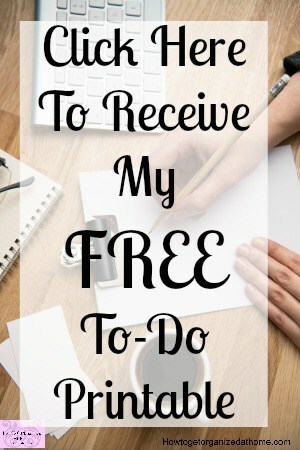 If there are any holes, I have time to address them before the start of the new quarter, it also gives me time to make sure that my current level is still solid and supporting my goals and objectives. Therefore, the most important part of living your dreams is to plan properly how you intend to get there. You will find obstacles along the way, trying to stop or derail your journey; the most important thing is not to give up, you might have to adjust some areas, but brush yourself off and start heading towards your dreams, and plan for your success! If you are looking for more articles on this topic head over to the landing page where you will find links to other articles about planning and goal setting. 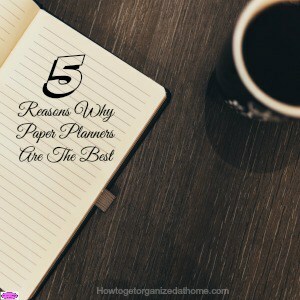 I wrote an article recently that I think you will like, 5 Reasons Why Paper Planners Are The Best.